Throughout history, students have been the driving force in social change. Now more than ever is the time for students across the country to become global warming activists and join the movement. On this page you will find tips for stopping global warming that your class or school can do today. You don't have to do everything, but we all need to do something! Get started in your school and keep us posted with results. Could Your School be Powered by the Wind? The Campus Climate Challenge is a project of more than 30 leading youth organizations throughout the U.S. and Canada. 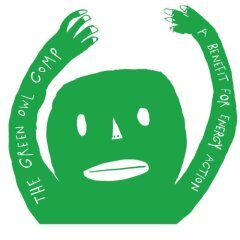 The Challenge leverages the power of young people to organize on college campuses and high schools across Canada and the U.S. to win 100% Clean Energy policies at their schools. The Challenge is growing a generation-wide movement to stop global warming, by reducing the pollution from our high schools and colleges down to zero, and leading our society to a clean energy future. Support the Youth Climate Movement! Audit your school for energy efficiency! You have a few School Audit options to choose from, other programs may be accepted: Lighting in the Library (developed in conjunction with the US DOE and EPA's Energy Star Program) in which you survey the lighting in your school library; School Building Survey (developed by The NEED Project), in which you survey your school for energy use; School Energy Consumption Survey (developed by The NEED Project), in which you investigate the management of energy consumed in your school. Green schools are healthy for students, teachers and the environment. Built right, green schools are productive learning environments with ample natural light, high-quality acoustics and air that is safe to breathe. Tour Sidwell Friends' new Middle School, the U.S. Green Building Council's first LEED Platinum-rated K-12 school.